We ask for help and solidarity to Olivia, a Cuban girl who suffers from optic nerve hypoplasia, schizencephaly and bilateral hippocampal atrophy. Olivia case: difficult but possible. Cuban doctors find no cure for a girl who suffers from optic nerve hypoplasia (ONH). 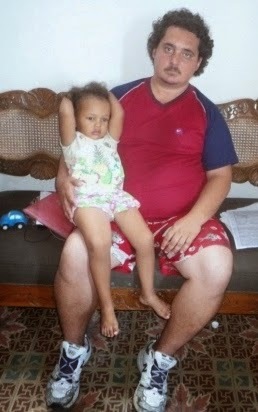 He has refused to parents the possibility to consult other specialists outside the country. Olivia de la Caridad, Cruz just three years old suffer, as a result of their disease, a neurological disorder that has reduced their hours of sleep less than four, preventing her from also vision. The disease is complicated by other illnesses as the unilateral schizencephaly on the right side, the atrophy bilateral hippocampal, among others. The parents of Olivia, a Cuban girl stricken with optic nerve hypoplasia, recently reported its case through independent media, the refusal of solution by the Cuban doctors, who claim an effective treatment for this condition, is not known. "Doctors have recommended us a visual therapy, which consists of making work with it as if it were to be blind all life", says Erlinda Noris. "[Specialists] people have shown more interest, but they do not have the knowledge necessary to treat such diseases, [...]" they have shown where have been able to reach, "says the father. Erlinda Noris and Juan Cruz , who have accepted the conditions of the little girl from birth, have been proposed contact with other parents and doctors abroad who have faced similar situations and receive the help they as possible. According to its own research via the Internet, is known that in countries such as China and the United States it has been implemented a treatment from stem cells, which some patients have partially recovered vision. Before the efforts of both parents in different Cuban medical facilities, the answers have always been negative: We propose to Ministry of Public Health the possibility that the child receives treatment set that was part of the medical process. “Let us not access doctors from other countries. Simply do not let us contact doctors of the International Red Cross, the Spanish Red Cross or ONCE organization. "We have gone to the Ministry of Health , the Ministry of Education, ANSI , UNICEF , WHO , Caritas Cuba and Caritas Havana , but not serve us because we are a special case . We also come to church authorities and have refused us because our case could give a bad image of the country” Cruz said. Hypoplasia, according to Wikipedia, is the name given to the arrested or incomplete development of an organ or part of it. It refers to a number of cells, inadequate or below normal. Cuban doctors are unaware of - hypoplasia - disease for which consultation with foreign specialists can increase the recovery of Olivia. Countries as China and the EE.UU implement treatments with stem cells. While efforts are slowed by the Cuban health authorities, the health of Olivia will continue to deteriorate daily. 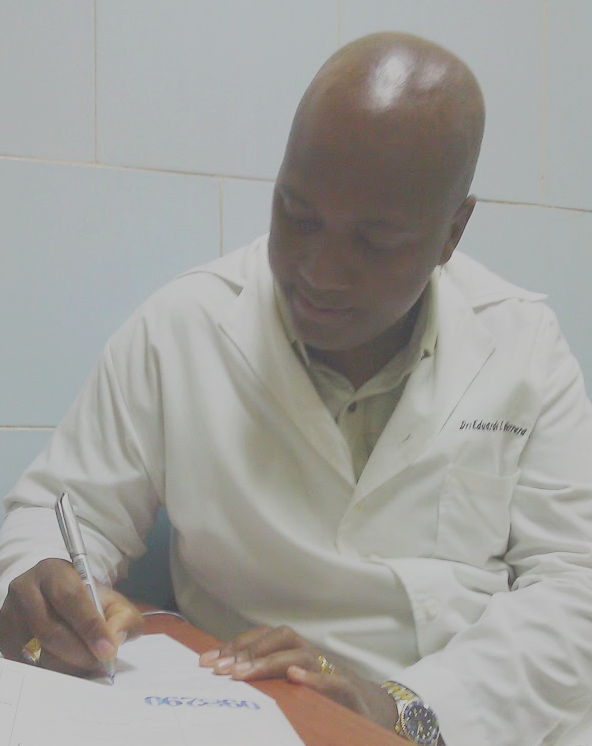 Being a health professional in Cuba, a doubtful advantage. The exodus of Cuban health professional does not stop, and the Ministry of Public Health (MINSAP) apparently has decided to act to counter a phenomenon that is damaging domestic medical services but much more the country’s income. A document attributed to the senior management of MINSAP, adopted in a meeting held in mid-March of this year, has been making the rounds in the e-mail of health professionals in which the sector’s new policy is expressed. This event was confirmed to CubaNet by an official from the Provincial Management of Public Health in Guantanamo, whose identity we do not reveal for obvious reasons. The document has 18 instructions. The first three are focused on the re-organization of services and the re-location of professionals as a result of the staff review carried out last year. The other 15 are directed to curbing the exodus of health professionals through private contracts or other avenues and steering the application of the measures in each case. One of the most controversial, instruction numbers 4 establishes that Cuban doctors in Angola must be relieved, but without increasing the collaboration with that country, until its authorities stop handing down measures that discourage the hiring of Cuban professional in private clinics or institutions. Another measure, number 5, directs the withdrawal of the passport, in the airport itself, of professionals who later return from the completion of a mission. Measures 6, 7 and 8 aim to get the private clinics of other countries to hire Cuban doctors through MINSAP, an agency that claims the right to review the professional’s individual contract, obviously so that the doctors pay the corresponding tax to the Cuban government and in no way receive all the money that is due them from the agreed upon wage. Measure number 10 requires concluding the process of cancelling the diplomas of the 211 professionals who left service without authorization, and number 11 directs MINSAP’s vice-minister of International Relations to carry out a study of the existing rules in the International Labor Organization (ILO), the World Health Organization (WHO) and the Pan-American Health Organization (PAHO), as it relates to the migration of the sector’s professionals. Rule 12 considers it a serious breach for a health professional to not return to Cuba upon fulfillment of his mission abroad without good cause verified by MINSAP, and it requires final separation from the profession by those who engage in said conduct, with the subsequent withdrawal of the degree. Meanwhile, Rule 13 orders the creation of records of disqualification for those professionals who violate the established procedures for leaving the country. If any of them repents and returns, Rule 14 directs that they cannot be re-located in their previous workplace but in an inferior status. Rules 16 and 17 of the document are intended to promote meetings with ambassadors of the countries where Cuban health professionals travel, largely for the purpose of discouraging their being recruited to remain and practice in that country. The heads of Cuban medical teams and ambassadors have received that same instruction. 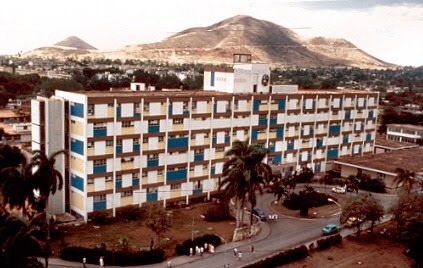 Besides interfering in the internal affairs of other countries, this shows one of the thus-far-discouraged facets of Cuban medical collaboration, which is none other than exerting pressure over the countries receiving these types of services to make them faithful to the regime’s policy, which is clearly established in instruction number 4 with respect to Angola. Finally, number 18 establishes a monthly coordination between MINSAP and the Department of Identification, Migration and Foreign Affairs of the Interior Ministry so that it will report to MINSAP on the doctors who leave the country as well as those who have begun proceedings for that purpose, in order to take appropriate measures. The above measures show the doubtful advantage of being a health professional in Cuba, although the same could be said with respect to other professionals. Determined to provide the country with qualified personnel, the government never concerned itself with steadily encouraging the efforts of the professionals themselves. That explains their massive exodus to foreign countries and other better paying jobs with the consequential social loss. At the dawn of the 21st Century, renowned Cuban professionals have been subjected to a financial exploitation that not even the fiercest capitalist would have dared to impose. Paid miserable wages, many times they sign unfair contracts that the government offers for them to work abroad because it is the only chance they have of improving their housing or getting housing, or acquiring a car or having some savings for their retirement. In doing so, at a sometimes irreversible familial cost, they damage their freedom and self-esteem in service to a government for which they are only a source of income that allows it to continue dominating the people. *Roberto Jesús Quiñones Haces was born in the city of Cienfuegos September 20, 1957. He is a law graduate. In 1999 he was unjustly and illegally sentenced to eight years’ incarceration and since then has been prohibited from practicing as a lawyer. He received the Vitral Grand Prize in Poetry in 2001 with his book “Written from Jail” as well as Mention and Special Recognition from the Nosside International Juried Competition in Poetry in 2006 and 2008, respectively. His poems appear in the 1994 UNEAC Anthology, in the 2006 Nosside Competition Anthology and in the selection of ten-line stanzas “This Jail of Pure Air” published by Waldo Gonzalez in 2009. Pedido de solidaridad para con el Dr. Eduardo E Herrera, médico cubano y comunicador independiente bajo amenaza de ser expulsado de su trabajo. Un saludo a todos aquellos que conocí en el encuentro propiciado por Civil Rights Defenders en los días del 7 al 10 de abril, celebrado en Estocolmo. Estimados colegas y amigos, al regreso a mi trabajo en Cuba, me informaron que las autoridades buscaban la posibilidad de expulsarme de mi centro laboral, donde trabajo como Médico especialista en Cirugía General. ​Tras mi asistencia al evento, notaron que realice algunos escritos desde “Finlandia”, según me cuentan algunos de mis colegas médicos y que había salido sin permiso, algo incierto pues contaba con vacaciones debidamente solicitadas. Hago un llamado a la opinión pública para que conozcan mi situación y la de todos los médicos en Cuba, quienes somos tratados como esclavos y constantemente presionados cuando denunciamos las malas condiciones en medios hospitalarios y otras violaciones a los derechos civiles que se cometen. Agradeciendo a todos su atención. *El Dr. Eduardo E. Herrera Duran. Es Médico especialista en Cirugía, reside en Cuba y trabaja en el Hospital General Docente “Calixto García” en La Habana, Cuba. Colabora de manera regular con el Centro de Información Hablemos Press. El médico chivato Dr. Pedro Luis Veliz Martínez, formo parte de la brigada de esbirros enviada por el gobierno cubano a la Cumbre de Panamá. Una brigada de esbirros de ocasión fue preparada y enviada con premura a la Cumbre de Panamá para contrarrestar la presencia de opositores cubanos en aquel conclave. Toda una Brigada de Respuesta rápida que hizo de las suyas en Panamá. Violentos, insolentes, desfachatados y carentes en absoluto de decoro; llegaron a Panamá previamente escogidos para mostrar la cloaca que es una Revolución que no puede asumir un dialogo civilizado y que carece de argumentos. En esta brigada de choque no podía faltar algún representante del gremio médico pro castrista y nada mejor que echarle mano a un oscuro sujeto, chivato y miserable en su accionar que lleva en su conciencia, si es que la tiene, el haber sido un vulgar delator que “hecho pa’ lante” a algunos miembros de la sociedad civil cubana independiente y que constituyó parte de los acontecimientos de la Primavera Negra de Cuba. Me refiero al Medico Chivato el Dr. Pedro Luis Veliz Martínez, de alma pútrida y desempeño criminal. Allá a Panamá fue el Chivato y sí que los vimos en las fotos. ..., Preside la Sociedad Cubana de Medicina Intensiva y de Emergencia, aspira a que lo propuesto por él se incluya en el documento de los foros a los Presidentes, especialmente lo relacionado con desastres, brotes epidémicos y la posibilidad de crear brigadas médicas multinacionales. Doctor, relacionado en el pasado con el movimiento opositor cubano y el llamado Colegio Médico Independiente. Un reportaje publicado hace años en Granma Internacional lo destapó como el “agente Ernesto” de la Seguridad del Estado, infiltrado para probar que “las autoridades estadounidenses, a través de su Oficina de Intereses en La Habana, querían destruir el Sistema Nacional de Salud”. Una parte de sus testimonios se usó para inculpar a los disidentes arrestados y encarcelados durante la llamada “Primavera Negra” del 2003. En el argot cubano, un “chivato”. Cuando se produce los eventos de la Primavera Negra de Cuba el Dr. Cano Rodríguez fue condenado a 18 años de cárcel bajo los cargos de Actos contra la independencia y la integridad territorial del Estado, e infracciones de la «Ley Mordaza». Junto con él en la misma causa los opositores: Osvaldo Alfonso Valdez, Héctor Palacios Ruíz, Oscar M Espinosa Chepe, Héctor Maseda y Marcelo López Bañobre; todos ellos condenados injustamente a penas entre 10 a 25 años de privación de libertad. Esto entre otras cosas por las delaciones y el testimonio del Médico, chivato Dr. Veliz Martínez. Fue a Panamá el Dr. Veliz Martínez, chivato de oscura historia. Este fue el representante de los médicos cubanos; un sujeto repulsivo. El Juramento Medico del Centenario , una declaración de los médicos cubanos en ocasión de la ofensiva revolucionaria. Completando la información sobre documentos relacionados con la salud publica cubana en los años 60’s . Ponemos a su consideración este Juramento Médico del Centenario que fue proclamado en el Hospital “V.I.Lenin” en el año 1968. El documento, la fecha en que se proclama y su intencionalidad se explica por sí solo. Fue aparentemente el juramento de médicos y estomatólogos cubanos en medio de la mal recordada ofensiva revolucionaria. Por Cuanto: La Medicina es una ciencia, ennoblecida en su profesión y fin, que tiene por objeto prevenir y curar las enfermedades para que el hombre pueda gozar de su derecho natural a la salud y a la longevidad. Por Cuanto: La Historia señala claramente la dirección en la cual se mueve la Medicina para que todos sus recursos científicos puedan ponerse al servicio de la comunidad, ya que el ejercicio privado de la misma no puede satisfacerlas necesidades de la salud de una nación. Por Cuanto: El heroico pueblo de Cuba está haciendo realidad el "sueño" de Milton J. Roseau: "Vislumbro una época en que no habrá sufrimiento innecesario ni muerte prematura; en que el bienestar de la población sea nuestra preocupación principal; en que los sentimientos de humanidad reemplacen a los del egoísmo; en que la sociedad producirá lo suficiente para llenar las necesidades del bienestar individual y de la salud colectiva; y en que cada miembro de la comunidad contribuirá de acuerdo con sus habilidades. Todas estas cosas se lograrán a través de la inteligencia del hombre, y se obtendrán como un derecho natural y de justicia y no como dádiva. Pienso en ellas, no con la esperanza de beneficiarse individualmente, sino con la alegría de poder ayudar a que otros, después de nosotros, puedan gozarlas". Por Cuanto: Constituye uno de los más hermosos ejemplos de lealtad y amor patrios, universalmente reconocido, la digna actitud asumida en su época por Louis Pasteur cuando exclamó: "Me sentiría como un desertor si yo buscara lejos de mi país una situación material mejor que la que éste puede ofrecerme". "Si la ciencia no tiene patria, el hombre de ciencia si la tiene". Por Cuanto: Mantiene plena vigencia lo expresado por José Martí relativo a Nuestra América: "A los sietemesinos sólo les faltará el valor. Los que no tienen fe en su tierra son hombres de siete meses. Porque les falta el valor a ellos, se los niegan a los demás”. “Pues, ¿quién es el hombre? : ¿el que se queda con la madre, a curarle la enfermedad, o el que la pone a trabajar donde no la vean, y vive de su sustento en las tierras podridas, con el gusano de corbata, maldiciendo del seno que lo cargó, paseando el letrero de traidor en la espalda de la casaca de papel". Por Cuanto: Innumerables médicos cubanos supieron cumplir con su deber histórico a través de un siglo de luchas por la libertad, independencia y dignidad de nuestra patria, por lo cual vivirán eternamente en las bellas páginas de nuestra historia las figuras heroicas de Honorato del Castillo, Antonio Lorda, Sebastián Amábile, Eduardo Agramonte, Antonio Luaces, Oscar Prímelles, Juan Bruno Zayas, José Elías Borges, Mario Muñoz y Manuel "Piti" Fajardo. El nombre glorioso de Ernesto "Che" Guevara, nuestro médico del "Granma” y de la Sierra Maestra, Comandante siempre al servicio del bienestar colectivo, ya simboliza esa lucha en todo el mundo. Por Cuanto: Esta privilegiada generación de cubanos puede desplegar a los vientos su bandera enteramente libre, enteramente soberana, con el grado de independencia y dignidad que jamás alcanzó; libre en el más cabal sentido de la palabra; libertad conquistada con el sacrificio de cien años, con la sangre de cien años. (Fidel Castro). Por Tanto: Como médicos cubanos, fieles a los nobles propósitos de la Medicina y a los más puros sentimientos de lealtad a la patria. 1. Dedicar los mayores esfuerzos al bienestar colectivo, poniendo nuestra profesión enteramente al servicio de la salud de nuestro pueblo. 2. Contribuir al desarrollo científico y a la dignidad tradicional de la nación cubana, no buscando en otro país una situación material mejor que la que el nuestro pueda ofrecernos. 3. Permanecer en todo momento junto a nuestro pueblo, no abandonándolo nunca cualesquiera que sean sus destinos históricos. Recibamos el cariño y la estimación de nuestro pueblo si cumplimos con fidelidad este juramento; y merezca todo lo contrario, por traidor, aquél que perjure y lo quebrante. Firmado en el Hospital "V. I. Lenin", a los 25 días del mes de mayo de 1968. 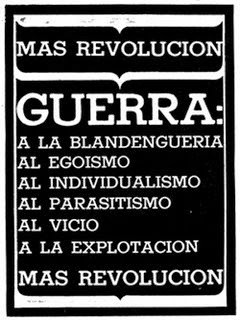 "Año del Guerrillero Heroico" y Centenario del Grito de "Independencia Muerte". Holguín, Cuba, Territorio Libre en América. * Copia sin referencia bibliográfica en Archivos de la Oficina del Historiador del Ministerio de Salud Pública.